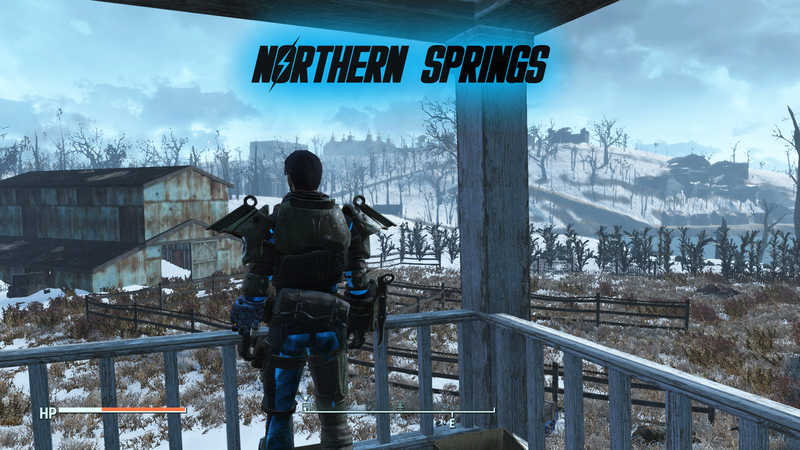 Northern Springs, a fan-made DLC sized mod for Fallout 4, is available now for free via Nexus Mods. Northern Springs adds a “whole new location” that’s reportedly bigger than the official DLCs Nuka World and Far Harbor. Players will find new quests, new armor pieces, new weapons and more as detailed below by the makers. Everything has been meticulously placed. An unimaginable amount of time & work has been put into this mod. A lot of playtesting went on, so I hope all the quests work. The mod was worked on nearly every single day for almost 2 years. And will continue to be worked on as time goes on. This isn’t an addition inside of the Commonwealth. Although it does include quests and other things that work with the Commonwealth. It’s a new location that expands adventure elsewhere to make the Commonwealth exploration experience much more vast. New ruthless enemies to encounter with many quests to unlock. This DLC Mod is fully modular as it’s an ESM just like any other Bethesda releases. As of now: The Main protagonist isn’t voiced. There are a few craftable objects, but the main focus is that this is a new worldspace with new quests and locations. One of the craftable objects is the terminals which can be built anywhere in any Worldspace and logs your personal Northern Springs data.